Amiga Hold-And-Modify 8 picture image. A ham8 file extension is related to the Amiga Hold-And-Modify 8 picture image file format. HAM8 file extension - Amiga Hold-And-Modify 8 picture image. What is ham8 file? How to open ham8 files? The ham8 file extension is associated with the Amiga Hold-And-Modify a display mode used by Amiga computers to display digitized photographs or video frames, bitmap art etc. 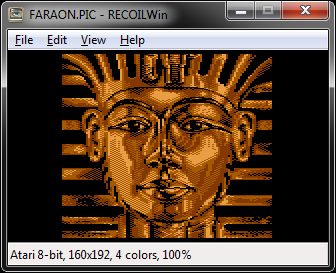 The ham8 file stores picture image from Amiga in 16 777 216 possible colors (24-bit color space) and high resolution (up to 640x1024). Use Recoil to view content of *.ham8 files. and possible program actions that can be done with the file: like open ham8 file, edit ham8 file, convert ham8 file, view ham8 file, play ham8 file etc. (if exist software for corresponding action in File-Extensions.org's database). ham8 file viewer - programs that view ham8 file - Amiga Hold-And-Modify 8 picture image. Programs supporting the exension ham8 on the main platforms Windows, Mac, Linux or mobile. Click on the link to get more information about RECOIL for view ham8 file action.